Welcome to Cupcake Corner! My little corner of the cupcake world! So here we are again already, wow this week went fast! Are you ready for Christmas? I’m almost done decorating my house, most of the shopping is done, but I have no baking done or presents wrapped. And only one week left until the boys get out of school…yikes! Somehow though, it always all seems to get done. 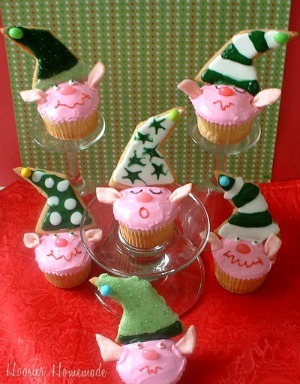 In case you missed the Christmas Elves from the Cupcake Chronicles Newsletter yesterday, I wanted share them with you. Aren’t they just stinkin’ cute? 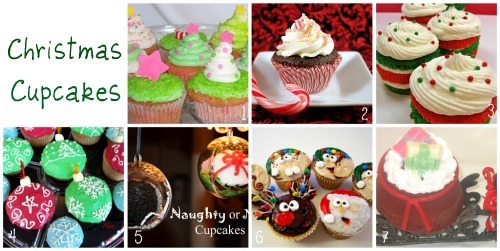 One more look at the Holiday Cupcake Challenge entries for the Christmas Challenge. Awesome ideas! You cupcake bakers blow me away!! Be sure to head on over and vote for the overall winner! 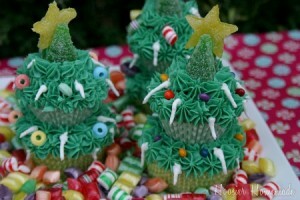 Now, here are a few more Christmas Cupcakes for you! The folks at What’s New, Cupcake? have done it again. These Starlight Mint Cupcakes are amazing. Get the details on the blog, where you can sign up for their newsletter and learn the technique to create the clear mint candy wrapper twists. 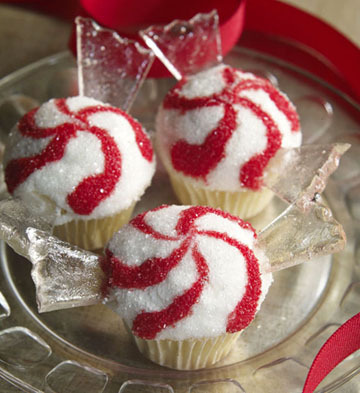 These Christmas Red Velvet Cupcakes with Cream Cheese Frosting look too pretty to eat! One of my Twitter friends, Cake Duchess shared them. Bakingdom shares these beautiful Pretty Little Winter Wonderland Cupcakes and she has a giveaway too! 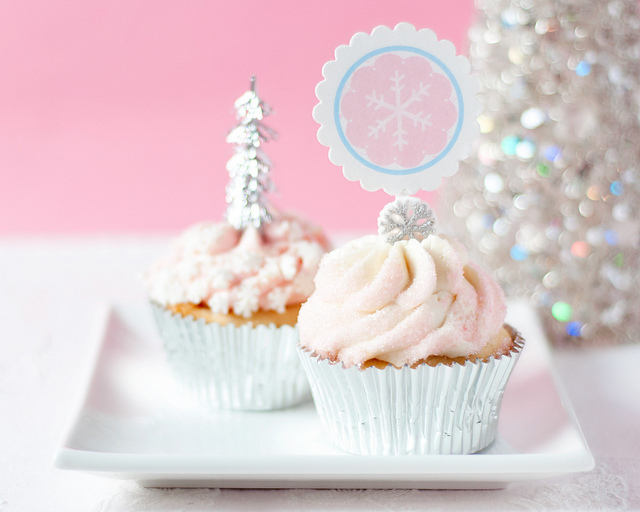 You can sign up to receive the weekly Cupcake Chronicles Newsletter. I’m happy to send any past copies of the newsletter that you may have missed. 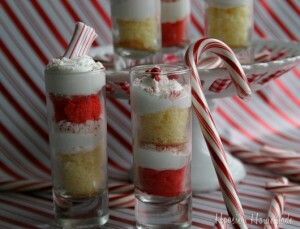 Adding these to my holiday baking plans for next year!! Liz, those little elves are absolutely DARLING! Thanks so much Amy! It’s great to hear from you! Merry Christmas to you and your family! I can’t wait to try the Red Velvet with Cream Cheese! Thanks for sharing! Such fun!! I especially like the chocolate reindeer cup cake – absolutely wonderful. 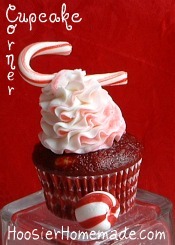 These Christmas cupcakes are really cute! It is a great treat that you can actually give to your friends or relatives that will serve as their Christmas presents! This is absolutely cute! I love the Christmas Elves for toppings. You did a great job. I am looking forwards for more wonderful post like this. Thanks a lot. I really do need to sign up for Swagbucks. I keep seeing it mentioned on blogs and always think “I’ll sign up for that…one day”. All these cupcakes look so amazing! I especially love the peppermint ones.